Brad Lomenick is a renowned speaker, leadership consultant, longtime president of Catalyst and author of H3 Leadership: Be Humble. Stay Hungry. Always Hustle. According to Brad Lomenick, in H3 Leadership: Be Humble. Stay Hungry. Always Hustle., there comes a time in a leader’s life where he or she has to transform, renew and rediscover himself or herself. Intentionally or not, leaders develop habits throughout their lives, that dictate their approach to work and to the tasks that they accomplish daily, that take their ideas and turn them into concrete results. Habits also shape leaders core values and personalities, behaviors and daily actions. This is why leaders must look at their old leadership habits, invest the time to break bad ones, sustain the good ones, create new ones, and seek to reboot themselves. It is therefore necessary for leaders to take a decision to implement change within them and within their organization, and for them to be committed to the task. According to Brad Lomenick, it is foundational for leaders to revisit the motto Humble, Hungry and Hustle. This mantra categorizes 20 core leadership habits and conveys the right philosophy in order to become a catalyst leader and contemporaneous influencer. By being humble, leaders are able to discover who they really are. By staying hungry, leaders are able to figure out their destination. By hustling, leaders search for the best way to reach their destination and goals. Leaders, at the beginning of their transformation, have to develop habits of self-discovery, of openness, meekness, conviction, faith and assignment. A Habit of Self-Discovery: Know who you are. Creating a habit of self discovery signifies that the leader has to purposefully and continually observe, listen, understand and define who he or she is. Self discovery is a never-ending process. Most leaders identify deeply with their organization and tend to lose their sense of self. However, they must learn to connect with the organization without merging with it or without changing themself into something else, without creating an illusion of self that will crumble at the first obstacle. They must know their strengths, weaknesses and values in order to succeed. Their scale of influence will reflect their level of self assessment. Furthermore, it takes courage to present the true self to the world and bravery to resist the factors that shape us and impose themselves on us. A Habit of Openness: Share the real you with others. Leaders must learn to be open and vulnerable with their followers and with those closest to them even though the higher they are on the “ladder of influence and power, the more difficult it is to be open”. Leaders must keep it real and be authentic: they show who they really are with they followers, they don’t hide their weaknesses nor their emotions, and they know what to do with what they have discovered about themselves. Leaders evaluate their value of connectedness, create deep relationships, are skilled communicators, answer dreaded and difficult questions if they can trust their interlocutor, know how to apologize to those that they have wronged or hurt, have a confidant outside of work that they can rely on and lean on for tough decision. Leaders are also transparent and can admit when they make a mistake. Of course not everything should be disclosed and not with everyone and less should be discussed the more the circle of influence increases. A Habit of Meekness: Remember it’s not about you. Developing a habit of meekness leads to quiet confidence, avoid leaders from becoming arrogant and from turning inward while on the path of self discovery. Indeed, the company culture should not revolve around the leaders, should not seek the leaders approval and should not suffer from their absence. A Habit of Conviction: Know your principles, stick to them and live out your convictions. Leaders must have conviction, integrity, strong values, strong moral compass, protect their reputation, and stand up for what they believe in, for what us right and against what is wrong. A Habit of Faith: Prioritize your day so God is first. Taking the habit of putting God first allows to visualize the bigger picture, to stop worrying about the future, to ignore what people are saying, to fulfill a higher purpose, to remain grateful towards God. Leaders are able to gain spiritual discipline and grow spirituality by speaking and mostly listening to God on a daily basis. A Habit of Assignment. Pursue your purpose. 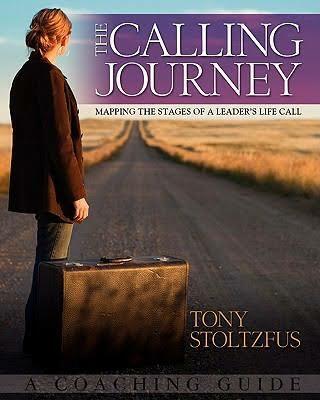 Leaders must learn to their innate proclivities to accomplish their assignments and live out a higher calling. A Habit of Ambition: Develop an appetite for what’s next. Ambition is mist often seen in a negative light and is always associated to a negative adjective. However, ambition is what pushes leaders forward and gives them the will to do better. Leaders have to be careful of how they feed their ambition appetite in order to cultivate healthy work relationships and to fuel other healthy habits. A Habit of Curiosity: Keep learning. Leaders have to listen more than they speak and ask probing questions. A Habit of Passion: Love what you do. Passions bond people together, create memories, sustain long-term enthusiasm and zeal. It is up to the leader to fuel his or her engaged and feed his or her enthusiasm to the organization. A Habit of Innovation: Stay current, creative, and engaged. Leadership requires innovation, pushes for change and doesn’t need a title nor an official position to initiate change. Rather it necessitates courage, steadfastness through failures, stamina and an environment for change. Leaders must challenge the status quo, refuse to coast and build habits of exploring new ideas. A Habit of Inspiration: Nurture a vision for a better tomorrow. Leaders look to the future and hope for a better tomorrow, have a vision for the future that makes work life more enjoyable, motivational, learn to communicate their vision and persuade the crowd. A Habit of Bravery: Take calculated risks. Leaders confront their fears and push through them, get out their comfort zone and are never comfortable in one position. A Habit of Excellence: Set standards that scare you. Leaders must thrive to be the best at what they do and to produce the best effort in order to succeed. A Habit of Stick-with-it-ness: Take the long view. Success in life requires preparation. Leaders have to resist current movements of instant and uncommon success stories, the pressure to innovate and continually create better and innovative products. Instead, they have to discipline themselves, learn to be faithful, learn to be grateful and to discern what is important in order to build their legacy. A Habit of Execution: Commit to completion. Leaders translate their ideas into action, enjoy bringing their actions to fruition, make an effort to deliver the best product without slacking off or slowing down. A Habit of Team Building: Create an environment that attracts and retains the best and brightest. Leaders must invest in their employees, motivate and stimulate them, show appreciation and help them create good relationships with one another. In addition, because culture building cannot be delegated, leaders must take it upon themselves to create a pleasant work environment for their team, generate positive memories and experiences with their team. A Habit of Partnership: Collaborate with colleagues and competitors to generate a higher revenue or to pursue a higher purpose. Partners bring new perspectives, new improvements to your organization, a new set of skills and competencies. Forging alliances requires strategy, intention, thoughtfulness, time and energy. However, forming relationships with other leaders and partnerships with other organizations is essential, especially when climbing up the ladder. A Habit of Margin: Nurture healthier rhythms. Leaders must learn to manage their time effectively, to unwind and reset their batteries in order to be more effective. A Habit of Generosity: Leave the world a better place. Leaders are generous with their time and energy and not only their money. They help others become successful and give without expecting anything in return. A Habit of Succession: Find power in passing the baton. Leaders have to learn his to let go and continue their legacy by finding their succession. H3 Leadership: Be Humble. Stay Hungry. Always Hustle., by Brad Lomenick, is a compelling and insightful self-development book where Brad Lomenick recaps his professional experiences at Catalyst, draw conclusions from his leadership style and allies spirituality with leadership. Throughout his entire book, Lomenick shares numerous tips on how to become a better leader. He also references several of his peers such as John Maxwell, Stephen Coven and Laura Vanderkam, and divulges alternate leadership tips. firstly, in order to lead others you have to figure out who you are first. Indeed, people tend to follow you, your personality, your values instead of following your job. Furthermore, you cannot tell others how to behave in certain situations and which route to take if you don’t know which one you would take yourself. Some would say to lead others, first lead yourself. Secondly, in the morning, before checking your emails or drinking coffee, develop a habit of seeking God first. But leadership is more than hard work; its habitual work. In my experience too few leaders recognize the importance of habits in life. One researcher at Duke University, for example, found that more than 40 percent of the actions people performed each day weren’t actual decisions, but habits.1 When you rise in the morning, nearly half of your day will be determined by the patterns you’ve either intentionally created or passively allowed. Your sense of identity will help determine your scale of influence. Ignore it at your own peril. Know your own strengths, limitations, and values. Have relational transparency and genuineness. This involves being honest and straightforward, and not playing games or having a hidden agenda. Be fair-minded and do the right thing. Effective leaders solicit opposing viewpoints and consider all options before choosing a course of action. They’re open to the fact that they “may be wrong” and someone else may have the best idea. A true leader has an ethical core and knows the right thing to do. Leaders must make honesty and trust the standard for their organizational culture. Never satisfied, but always content is the posture of a properly ambitious leader. The Key To Success, by Russell H. Conwell is an essay to encourage people to seek their own success by observing the events around them. Russell H. Conwell seeks to find the intelligent and the “leading men and women” of tomorrow. An intelligent person recognizes their abilities and limits, understand that they have to hire someone with more insights, knowledge and competencies to do what she or he is not able to do so. Furthermore, in life, having a leading man or woman is necessary. It is evident that very few are fit to lead or to know what to do under difficult or important circumstances: only wise and good men are fit to be leaders. In Ackba, there was a beautiful palace and in the palace, next to the throne, there was a pedestal with a Silver Crown, which the emperor wore when he passed a law and without which the emperor was a regular citizen. After many years of ruling, the emperor died and left the throne without an heir or anyone to claim the Silver Crown. Look up and look down your country, and when you find a man whom the animals follow, the sun serves, the waters obey, and mankind love, you need not to ask who his ancestors were. This man will be one of the royal line entitle to the throne of gold and the Crown of Silver. The astrologers searched the country, asked the people but were met with ridicule. Until one night, an old astrologer got lost in the Himalaya Mountains and took refuge in a cottage to find an intelligent leader, worthy of the throne. Through the story of the Silver Crown, Russell H. Conwell illustrates four characteristics that he deems are necessary to subsist in modern civilization. How to find the intelligent leaders of tomorrow? Russell H. Conwell uses the four characteristics of the Silver Crown story to determine the leaders of tomorrow: a man or woman whom the animals follow, a man or woman whom the sun serves, a man or woman whom the waters obey, and a man or woman who possesses mankind love. Conwell considers that, alike universities, animals ought to instruct and encourage us. He takes a scientifical approach to demonstrate the knowledge and power embodied in animals. The horse is much more useful than a human being. The horse “has within its body so much galvanic and electric force continually generated by the activities of life, that if that electricity could be concentrated and held to a certain point, a horse could stand still and run a forty-horse power electric engine.” Whereas, a human being, standing still, can run a ten-power horse engine. A hen and her egg are filled with mystery and more knowledge than an intelligent professor with degrees from prestigious schools are willing to admit or to spend time studying. Conwell believes, contrary to science, that hens or chickens possess their own language, the “egg is the greatest scientific problem with which the world has ever grappled — the beginning of life and the God-given design”. Through the story of the locomotive and the milkman, Conwell shows how a leader is being served by both sun and water, the importance of getting educated on a daily basis and noticing the events around us and noticing the unnoticed. The locomotive, using steam to move and driven by Man, is used to illustrate these 2 characteristics. A milkman took a locomotive every day to distribute his milk. On the train, he consistently asked questions about the functioning of the train to the engineers. One day, while the fireman and the engineer were absent, the train rolled down the mountain. Fortunately, the milkman was on the train, knew how to drive it and saved everyone, including a stakeholder in the railroad company. The milkman happened to get rich of his knowledge and his curiosity. A leader gains the love of mankind by being great benefactors: while they are going after their own success, they bless humanity, they hear the call of humanity and respond to it. The university from which they have graduated from does not matter in real life. University can make you unlearn the real values and useful knowledge, needed in real life. An uneducated person will know more instinctively than anyone who has been to school by using their everyday observations, even though they have a degree from a university or not. The Key To Success by Russell H. Conwell is a great book that takes approximately one hour to read. It is filled with picturesque stories and fictional dialogues to illustrate and to get us to remember his point. It is dedicated to those who wish to become leaders and strengthens their core values, for those who are eager for success. It emphasizes the idea that every man is his own university, that every man should take notice of his surroundings and learn from everything. In The Key To Success, Russell H. Conwell is very controversial, progressist, scientifically curious and forward for his time. He is continually questioning the limits of science and of human knowledge, is answering the questions that science cannot answer with the knowledge of God. After reading this book, all I could think is “I like this guy” for his opinion. Conwell does not hesitate to denounce academics, with diplomas from prestigious schools, who have no time to study “lesser” things in life, who belive that their studied education trumps their natural and instinctive education. Hence, for him, science does not explain everything but we should seek explanation from God. There is danger that a man will get so much education that he won’t know anything of real value because his useless education has driven the useful out of his mind. The great scientific men—and we need more—often are not given the full credit that is due them because they have not “graduated” from somewhere. It seems to me there is a feeling in these later days for creating an aristocracy among the men who have graduated from some rich university. But that does not determine a man’s life. It may be a foolish tyranny for a little while, but nevertheless every man and woman must finally take the place where he and she are best fitted to be, and do the things that he and she can do best, and the things about which he and she really know. Where they graduated, or when, will not long count in the race of practical life. Do you know that the humblest man, whatever his occupation, really knows instinctively certain things better for not having been to school much? It is so easy to bias the mind.